Hardwood floors have been around for centuries. It is a popular choice for flooring of people who long for permanence, durability, and elegance in their home. According to a study conducted in 2016, 63% of individuals prefer hardwood floors. Aside from it being able to compliment any decorations or theme you want to incorporate into your home, hardwood floors also have environmental benefits. It is also very easy to maintain, and you can save a lot of money because of minimal demand for maintenance. People that reside in colder climate also prefer hardwood floors because of the warmth it gives during the cold season. Before, people in lower and middle class choose hardwood floors because it is cheap compared to ceramic tiles and marble flooring. But throughout time, more people are choosing hardwood floors because of its practicality. Now, it has become a symbol of simplicity and elegance for a modest home. Hardwood flooring is one of the options available for different types of flooring. It is made from the timber of trees that is cut into planks and assembled. There are also different types of wood flooring, depending on your house and needs. Hardwood floors are very easy to clean and maintain. Hardwood floors can give your home that elegance and luxurious look. It is known for its durability, and you can expect it to last for a very long time. Some hardwood floors even age with grace through time if maintained properly. It has health benefits, as hardwood floors don’t attract dust, so the case for allergic attacks will be reduced to minimal. One of the best and strongest types of flooring. It doesn’t get damage easily compared to other types of flooring. It is a perfect choice for people in colder countries since it adds warmth to your home and comfort for long cold nights. A hardwood floor can invite termites’ infestation, so regular cleaning and maintenance are required to avoid this. Water is the worst enemy of hardwood floors so it can easily be damaged in an incident of water seepage plumbing problems. Although can’t easily be damaged, hardwood floors can be susceptible to scratches or permanent marks due to pet’s nails from scratching, impact from a heavy object fall, etc. Vacuum cleaners are one of the best ways to clean your hardwood floor, so it is a bright idea to invest on one. There are even some vacuum cleaners that are designed specifically for your hardwood floors. Check some helpful reviews online for an idea on what to get for your needs. Buy and store some floor wax or regular polish that would bring out the shine in your hardwood floors. Try to use polyurethane coating for a shiny floor finish that can last for days to months. Schedule a daily and monthly cleaning. 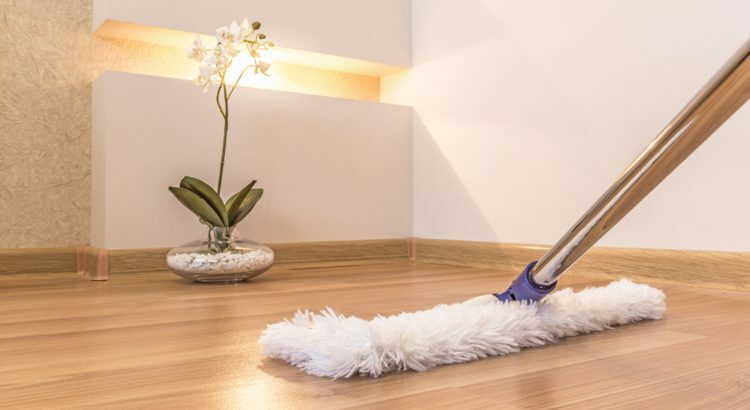 You can use a semi-dry mop to clean everyday dirt and a vacuum cleaner every month. It is also important to do a monthly critical maintenance of your hardwood floor aside from just cleaning. Always remember that the best way to choose the perfect flooring for your home is based on your preference and needs. Only you can know for sure what will be the best flooring your house will need. You can also check out new trends in flooring online for an idea what’s in and trendy for your home floors.